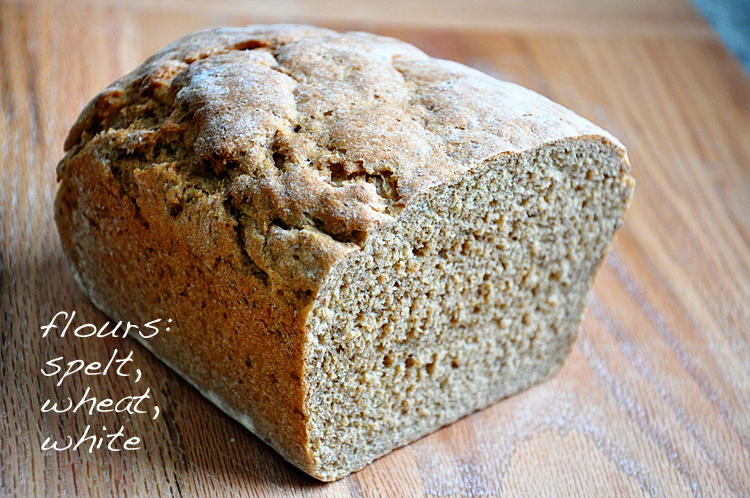 I’ve been using Uncle Rocco’s whole wheat and white bread recipe for a few years. I toyed with the recipe for the first time by changing up the flour combination and adding a bit more yeast. The result is a hearty, lightly-nutty, soft bread. 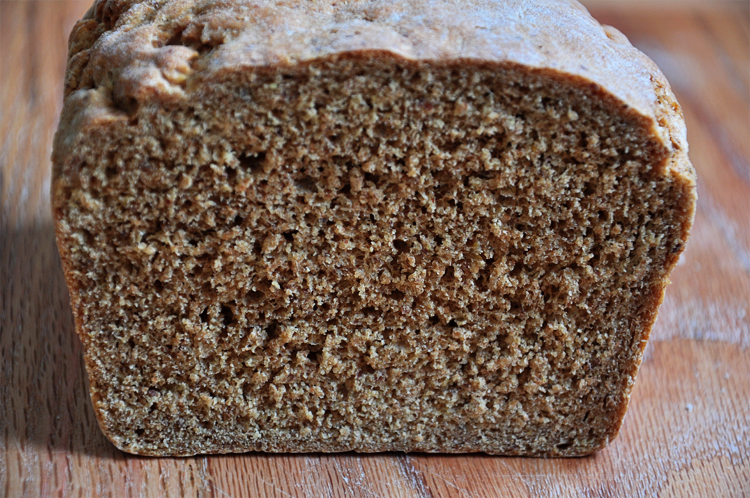 This was my first experience with spelt flour. It reminds me of whole wheat, but it doesn’t seem as heavy. I realize I need to venture off even further into bread making. Next up, challah. In order, place all ingredients in bread machine bowl (starting with wet to dry) and when ready to add the yeast, make a well in the flour and add it. Set the bread machine on “dough” setting and press start. Meanwhile, lightly rub olive oil in a loaf pan and then dust with flour. When the machine finishes the dough setting, pull the dough out and give it a few turns with your hands on a floured surface. Turn the dough until it is in the shape you want it. Place the dough in the oiled and floured pan, wrap with a kitchen towel and let it rise in a warm place until it doubles in size (or is the size you want it). Set the oven to 350-degrees and place pan in the oven (do NOT preheat the oven). Bake for 40 minutes.